The 70-year-old Grammy winner contracted an "unusual bacterial infection" during a trip to South America. He is expected to make a full recovery. 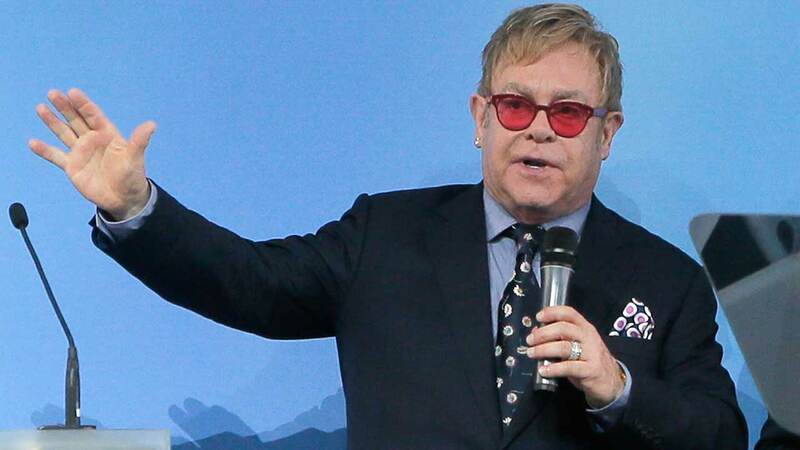 Elton John thanked his fans Tuesday for "an avalanche of kindness" as he recovers from a "rare and potential deadly infection" he apparently got during a tour of South America. The 70-year old legendary singer told his Instagram followers he was "overwhelmed with gratitude" and "getting stronger every day." "During a recent, successful tour of South America, Elton contracted a harmful and unusual bacterial infection," Caesars Palace said in a statement posted to its Facebook page. On his return flight from Santiago, Chile, he became violently ill, according to the post. According to Caesars, the singer spent two days in intensive care before being released Saturday. John is expected to make a full recovery and will return to the stage in Twickenham, England, on June 3. "I am so fortunate to have the most incredible and loyal fans and apologize for disappointing them," John said in the statement. "I am extremely grateful to the medical team for their excellence in looking after me so well." The singer has canceled his April and May shows at Caesars Palace in Las Vegas. A staple on the Las Vegas Strip, John's "The Million Dollar Piano" residency at Caesars began in 2011 and features the Grammy winner singing and playing the piano amid special effects and massive LED screens. The show will resume in October and run through its final dates in May 2018.